← Our 7th Rainy Day Couple Winners! 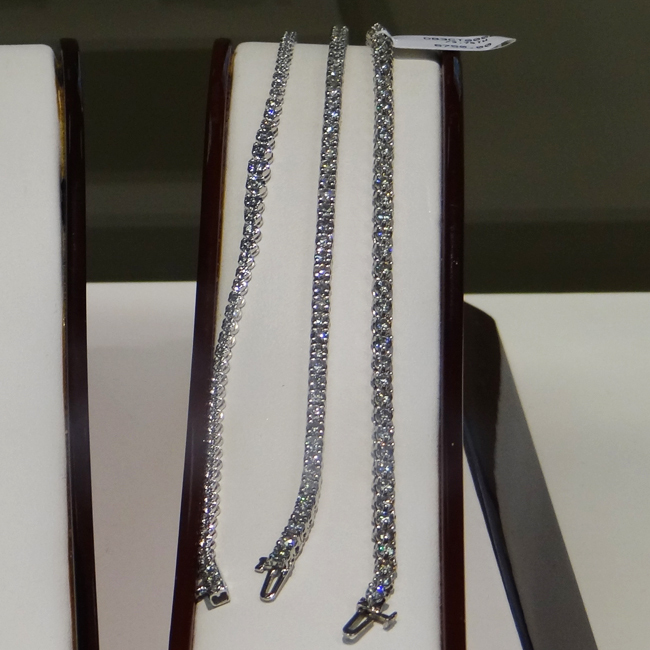 We have a beautiful 5 ctw diamond tennis bracelet on sale! The regular price was $3999, now it’s $2999! This bracelet is currently only available online. Huge Look for the Money! This entry was posted in Diamonds, Jewelry, Jewelry News, Sales and tagged diamond jewelry, diamond tennis bracelet, diamond tennis bracelet sale, diamonds, Jewelry, jewelry warehouse. Bookmark the permalink.